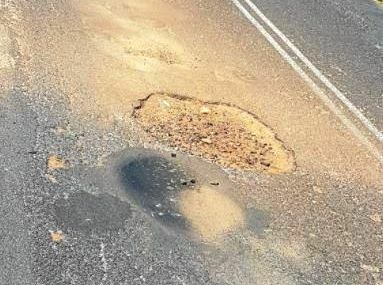 RESIDENTS and motorists are concerned with the state of the Clarence Way after a long wet-weather period left the road potholed and deteriorating. Jo Baxter of Drake drives along the main road four times a week and said she no longer feels safe due to the road's condition. "You'd be better off driving through the paddock than on the road half the time," Ms Baxter said. "There's going to be a major accident because you are going on the other side of the road to miss the majority of the holes. "I've had a few near misses where other cars have come in front of me." Kyogle Council General Manager Graham Kennett said two crews were down there yesterday to deal with the potholes short-term. "There are two crews out there at the moment patching potholes, trying to get on top of it again now that the weather is better than it has been," Mr Kennett said. However, Ms Baxter said she believes the whole road needs to be reconstructed. "Where they have fixed the potholes, it is just creating more because when it rains they just lift up and they are back again," she said. "My kids catch a bus to go to school and that's scary. "You shouldn't have to buy a four-wheel-drive to drive any road, you should be able to drive whatever you like on the road." Mr Kennett assured the road was on the council's radar and the rehabilitation of it was a big focus moving forward. 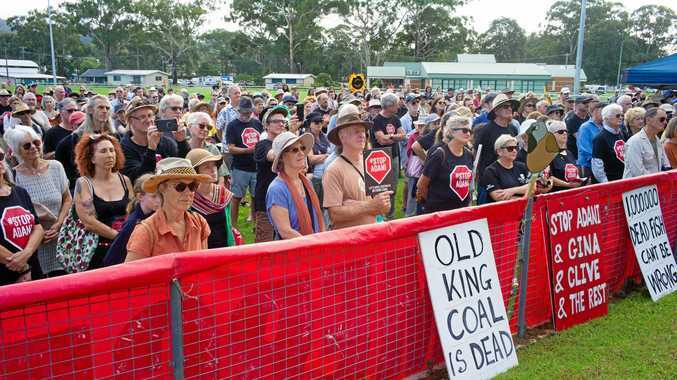 "Every dollar we're able to inject into that road to improve it, we are, but it's quite a lengthy road running from Woodenbong all the way through to our boundary with Clarence Valley," Mr Kennett said. The draft budget for 2018/19, about to be presented, includes expenditure of $8million on the Clarence Way over the next four years. "We're applying for funding for that road, as one of council's high priorities in terms of obtaining external grants," Mr Kennett said. He said the council had received a number of notifications regarding the state of the road. "Most people are reasonably patient, they understand there's not much we can do when it continues to rain," he said. "But everyone's a bit frustrated by the state of the road and how it can deteriorate after long periods of wet weather."